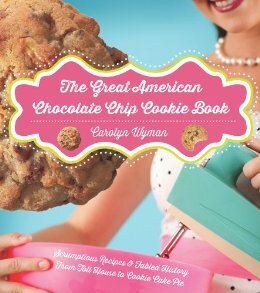 Internet radio host Linda Pelaccio and I had this fun half-hour chat about chocolate chip cookies (and Spam!) recently. My ex-Supermarket Sampler column partner Bonnie Tandy Leblang provided the link to Linda and her A Taste of the Past‘s radio show on the nonprofit Heritage Radio Network (neither of which I had heard of before) and now I’m working to catch up on A Taste of the Past’s archived shows about the history of candy, pizza, refrigeration and supermarkets (among other things). The guy who started Slow Food USA is also behind Heritage and both are well-worth your time/$!